Before President Obama left L.A. for San Francisco on Tuesday, he stopped to meet with high-level Hollywood executives and players at the Beverly Wilshire Hotel, according to The Hollywood Reporter. Studio head Harvey Weinstein, "Modern Family" creator Steve Levitan, Atlantic Records Chairman Craig Kallman, and "Harold and Kumar" actor and political activist Kal Penn were among those in attendance. The event was not a fundraiser and guests did not donate to the president's re-election campaign. 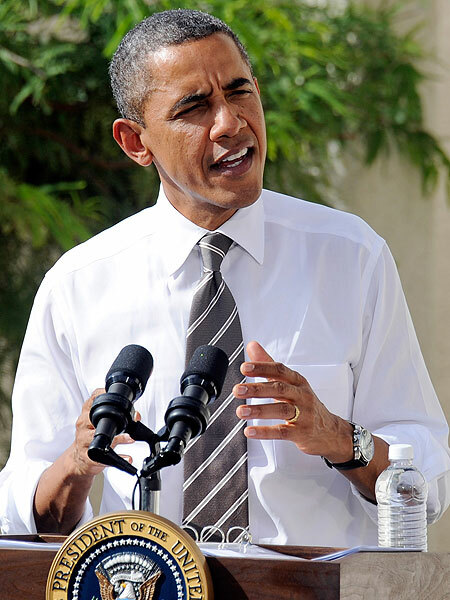 Instead, attendees were identified as "influencers" who could help Obama as he heads into a tough race in 2012. President Obama spoke to the high-profile group for 30 minutes, telling them he needed their help to influence the Hollywood community and the general public with his upcoming campaign. President Obama's trip to L.A. was his second in the last few months. During the visit, he casually stopped by fast food joint Roscoe's House of Chicken and Waffles and attended several elegant, star-studded reelection fundraisers hosted by Antonio Banderas and Eva Longoria. The busy leader also made an appearance on "The Tonight Show with Jay Leno" -- where he dodged questions about his daughters being able to watch "Keeping Up with the Kardashians." In a recent interview with iVillage, First Lady Michelle Obama said her husband doesn't approve of the girls watching the reality show. "Barack really thinks some of the Kardashians -- when they watch that stuff -- he doesn't like that as much." 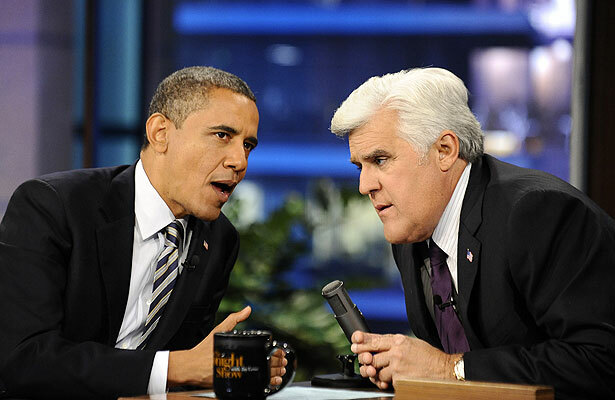 The President admitted to Leno that he's never watched the show, and left it at that.